Last week, there was a cold rainy morning and I didn’t feel like wearing my sandals to work. Instead I thought a warm snug fit into my Blundstone would be nice. Been a while since I last wore them. I even envisioned myself traipsing over puddles of water and don’t have to worry about getting my toes wet. But it was not meant to be. 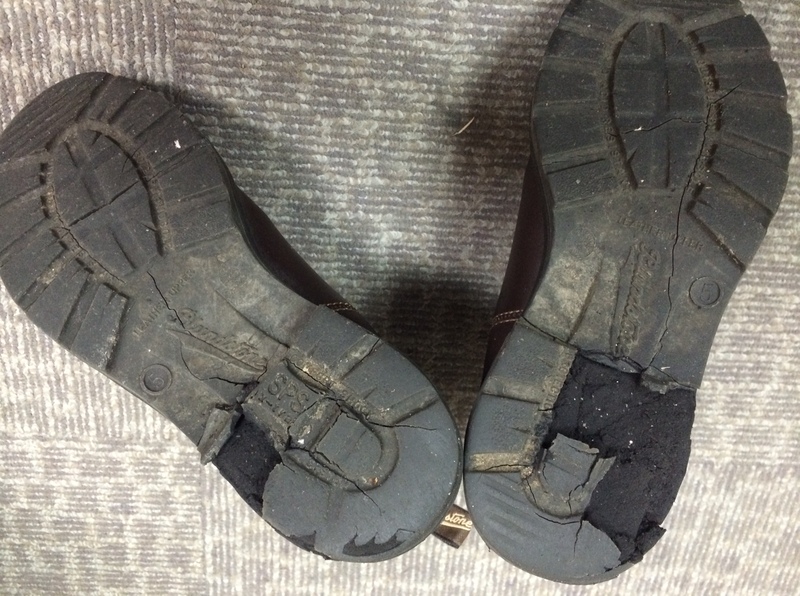 The left sole of my Blundstone disintegrated that morning as I stood there talking to my mother, unaware of the situation. And as I was about to leave only I was aware of the puddle of crumbs on the floor. I was mildly upset. 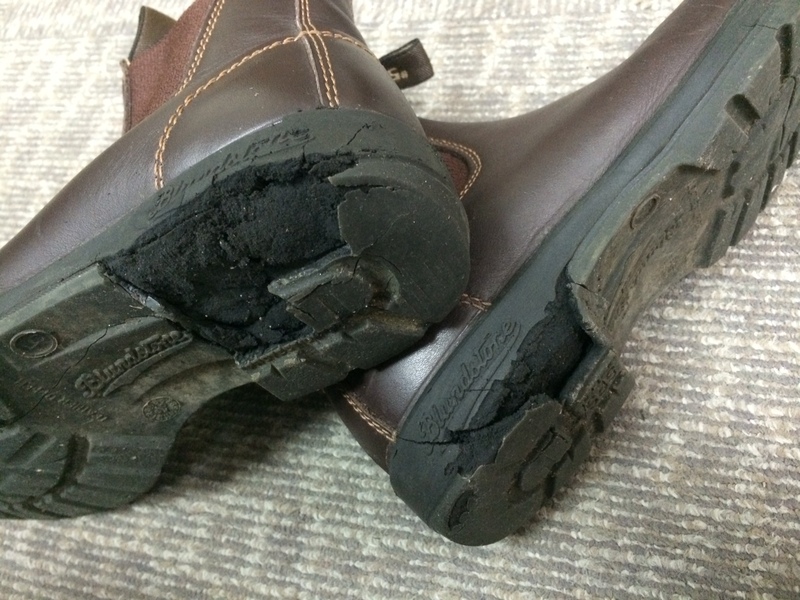 By the time I drove to the office, the right sole disintegrated too! The boots are hardly overused and slightly over 3 years old. A quick check on the internet resulted in many complaints about this occurring and quite common apparently. So I am not the only one. Even Russell Crowe had problems with his Blunnies. Wow.